Upgrade any Pacifica 960 grill. Rotisserie kit gives more options for grilling. 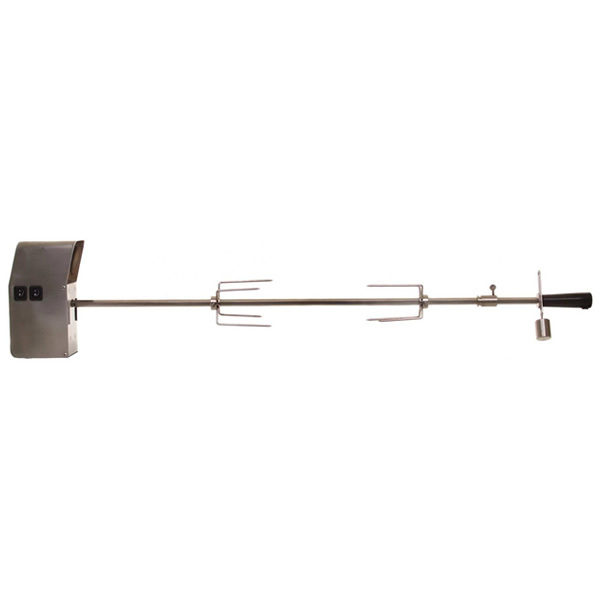 Durable spit rod and meat forks. You may be craving to diverge from the typical barbeque fare, but are a little fearful about trying something new. A rotisserie kit would be a great way to start. You can load up the heavy-duty spit with chicken, pork or beef, turn on the motor and it will slow cook for several hours. When you come back, you will have a tasty main dish ready to eat. Even if you are grilling into the evening, the light on this model will give plenty of visibility. This PGS Legacy rotisserie kit is an upgrade for the Pacifica or Pacifica Gourmet grills.